Fall in love with one of the most scenic coastal landscapes in Europe on this full-day tour of the Amalfi Coast from Sorrento. The UNESCO-listed Amalfi Coast has long been a sanctuary to the rich and famous, with the likes of Greta Garbo, Humphrey Bogart and Jackie Kennedy having sought serenity here — and now it’s your turn. 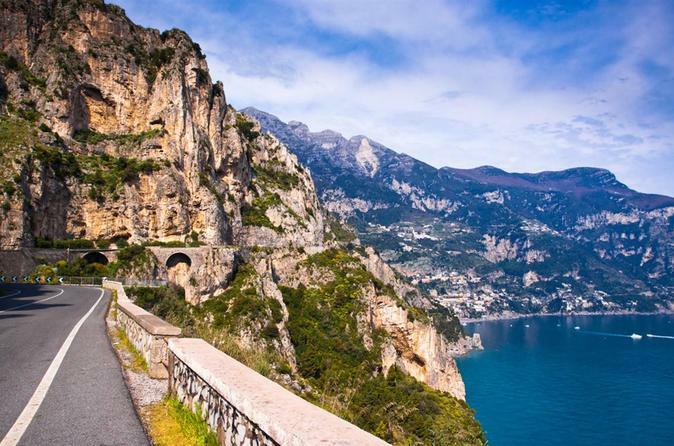 Enjoy a relaxing coach ride from Sorrento along the Amalfi coastal roads and visit the towns and villages of Amalfi and Ravello. Meals are at your own expense. 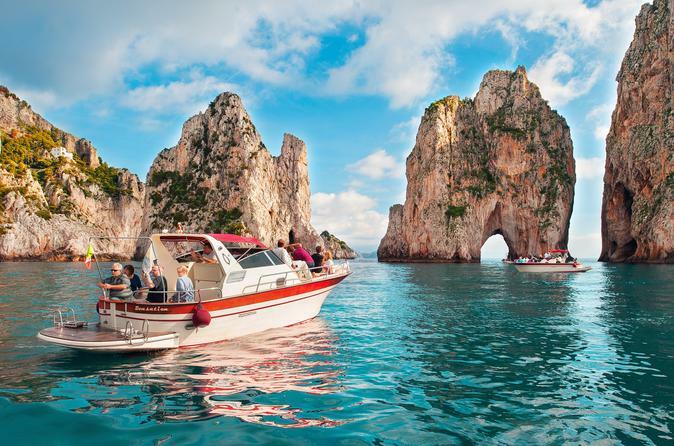 Board a traditional wooden boat in Sorrento and set off along the Gulf of Naples to the Mediterranean island of Capri. Discover caves and grottos, see the iconic Faraglioni rocks and stop to swim and snorkel. Then enjoy a few hours of free time on Capri to see sights such as Villa San Michele and the Gardens of Augustus. Numbers are limited to 12 people on this day cruise, ensuring a more intimate experience and personalized attention from your skipper. Explore the famous Amalfi Coast with your own driver to chauffeur you from town to town on this private full-day excursion from Sorrento. 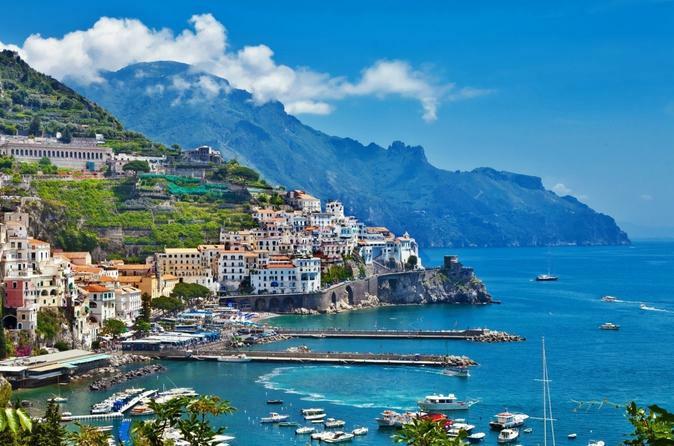 You'll discover Positano, Amalfi and Ravello, three of the most beautiful villages in the south of Italy. A private visit to the Amalfi Coast is the perfect choice if you want to get a real taste of southern Italy and its exquisite coastal landscapes. Taste your way through the charming Italian city of Sorrento on this small-group food tour. On a leisurely walk with a local guide, visit eight popular local eateries, family-owned delis and markets to enjoy a wide range of generous tastings, all adding up to a satisfying lunch. Enjoy classic Italian specialties including gnocchi, paninis, buffalo mozzarella, cured meats, Neapolitan pastries and gelato. 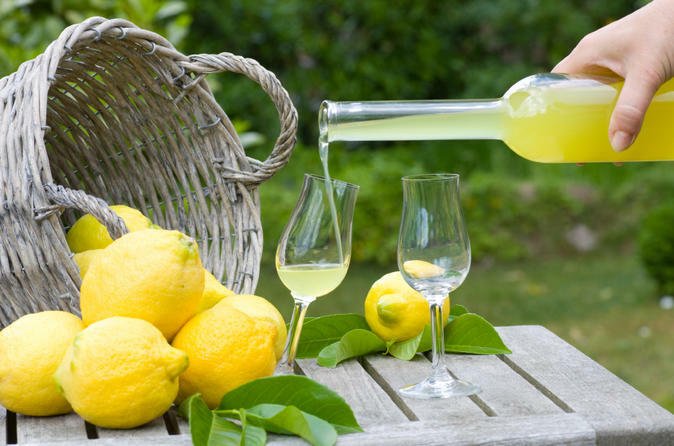 Wash your tastings down with local beer, wine and limoncello! Numbers are limited to 10 people on this small-group tour, ensuring you enjoy a more personalized experience with your fellow foodies. Discover the hidden delights of coastal Italy on this 8-hour Amalfi Coast experience from Sorrento. 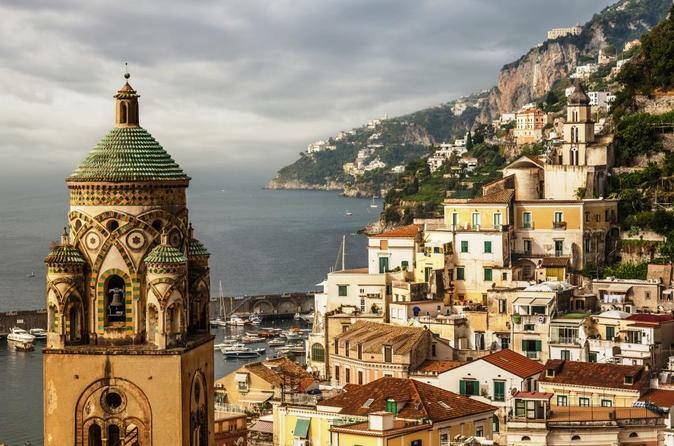 Travel along the beautiful Amalfi Coast as a guide sheds light on the region’s colorful history. Enjoy up to two hours’ free time to explore at your leisure in traditional villages such as Amalfi, Positano and Ravello. Admire pretty bridges, charming seaside houses and spectacular views, and experience a slower pace of life away from the busy city. Enjoy personal attention from your guide on this small-group tour throughout the marvellous sceneries of the Amalfi Coast. Discover the ins and outs of Italy’s classic culinary delights on this gastronomic tour from Sorrento. Go behind the scenes of a family-owned farm, cheese factory and pizza restaurant and enjoy hands-on demonstrations and tastings of freshly made products including lemonade, extra virgin olive oil on homemade bread and provolone cheese with salami and wine. Then, make your own Neapolitan pizza, followed by dessert, coffee and limoncello liqueur. Come with an appetite, as these tastings add up to a full meal! 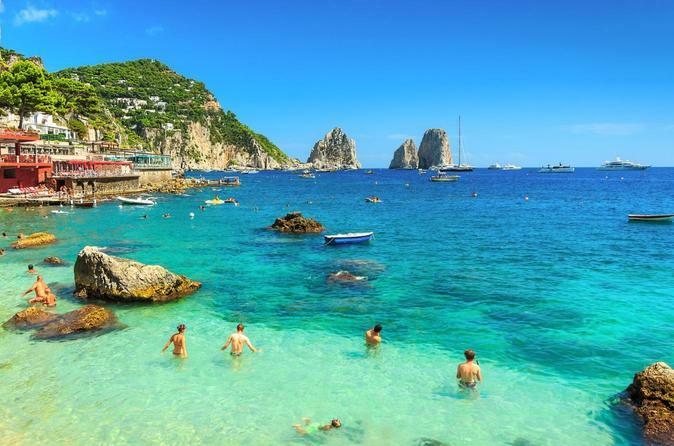 Visit the charming island of Capri off the coast of Italy on a day trip from Naples or Sorrento. Travel across the sea by jetfoil, explore the island by minibus to see sights like La Piazzetta, and visit the Blue Grotto, as long as the weather permits. Small-group (semi-private) Capri excursion (max 12 pax on board), departing from Sorrento. You will experience Capri with us, amazing sensations impossible to describe. After having boarded, you will get a safety briefing and off we set to the island of Capri. 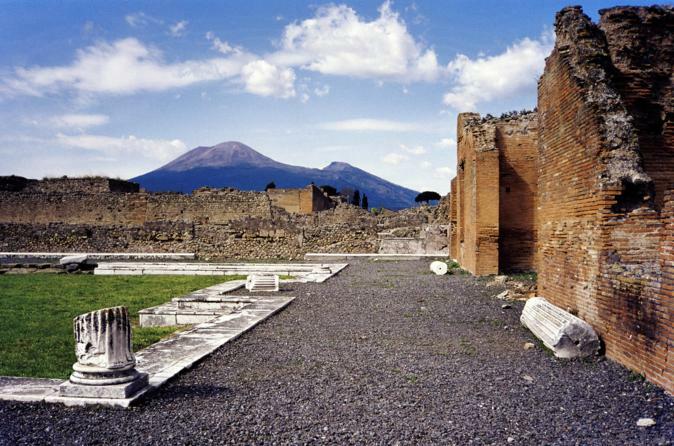 Venture to the top of legendary Mt Vesuvius on this half-day tour from Sorrento. 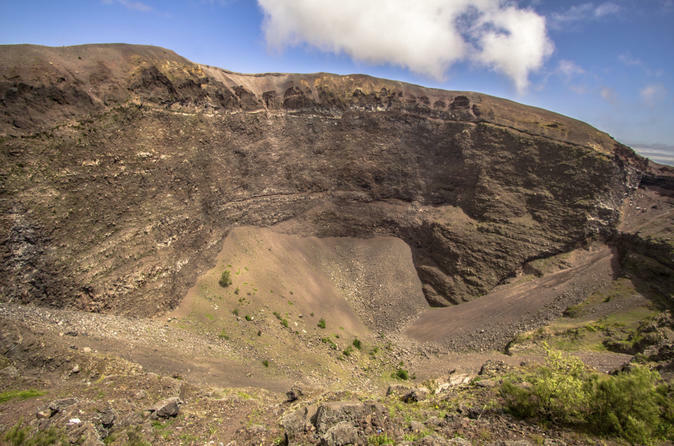 Board an all-terrain 4x4 vehicle for a fun, rugged ride through Vesuvius National Park, and hike the rest of the way up to the volcano’s massive crater. Reward yourself with stellar views over the entire Gulf of Naples, the Sorrento Peninsula and the islands of Capri and Ischia. 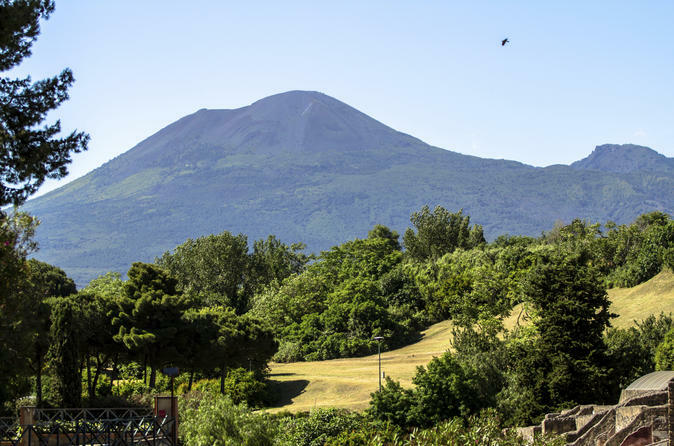 After riding back down the mountain, head to a nearby winery to enjoy a 3-course lunch and wine tasting: a relaxing way to end your Mt Vesuvius adventure. 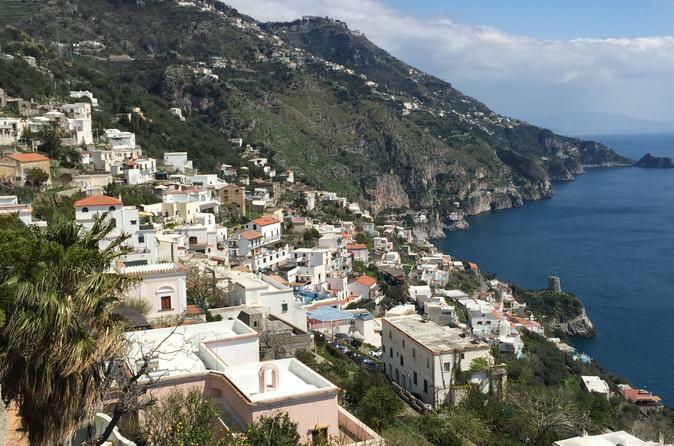 Visit Positano, Amalfi, and Ravello, in 8-hours, by minivan with a small group of no more than 8 people. 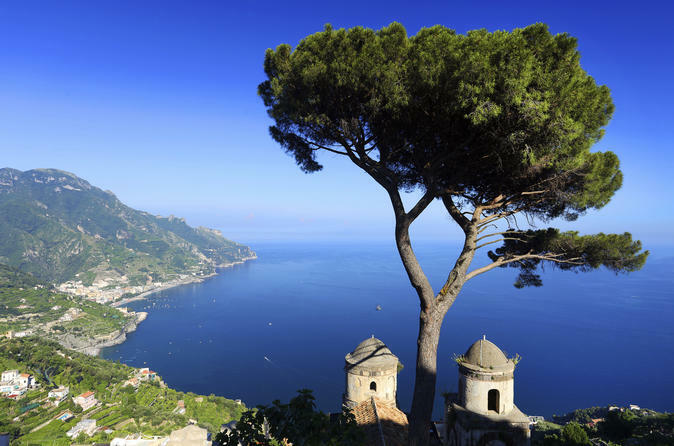 Your English speaking driver will offer information about the beautiful Amalfi Coast. You will have free time to spend on your own in each town. The tour price includes lunch in a typical 'trattoria' overlooking the panoramic coast. Choose pasta or a salad, along with wine, beer, or a soft drink. Enjoy many fantastic photo opportunities. One of the most post popular day tour, covering the highlights of the Bay of Naples. You will be able to walk through the streets of Pompeii as the Romans did more than 2,000 years ago and then see the beautiful Amalfi and the spectacular Positano ( amalfi coast). Day tour from Sorrento with a professional english speaking driver/guide. Plenty of photo stops along the way and time to visit the villages of Positano and Amalfi . This is for you the best choice if you have limited time, you will able to taste the Amalfi coast with a local driver, he will give you important information about the history and the culture of the places that you are going to visit. On the Amalfi Coast everything seems to be almost suspended between sky and sea. 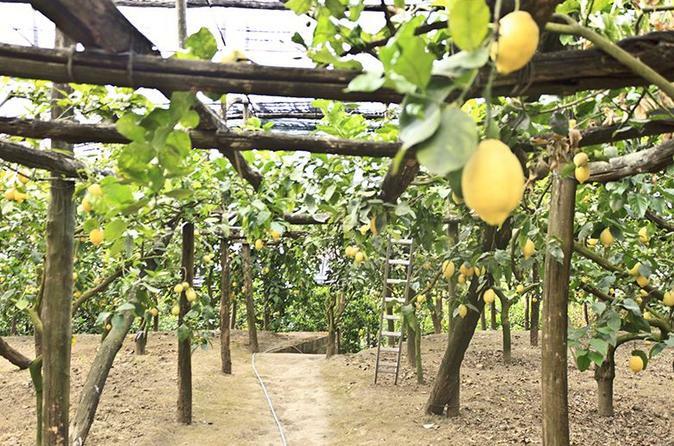 Enjoy a 3-hour cooking class in Sorrento. Learn how to cook an Italian meal from your Chef and end your experience eating the delicacies you have prepared! You will be able to choose between 3 menus focus either on meat, fish or vegetables (suitable for vegetarians). Guided tour with licensed guide to discover the Romans remaining in the archaeological site of Pompeii and climb till the crater’s edge of the famous Volcano Vesuvius. Pick up from your Sorrento hotel or in a centrally located meeting point nearby. Experience two of southern Italy’s UNESCO World Heritage sites on a day trip from Sorrento. 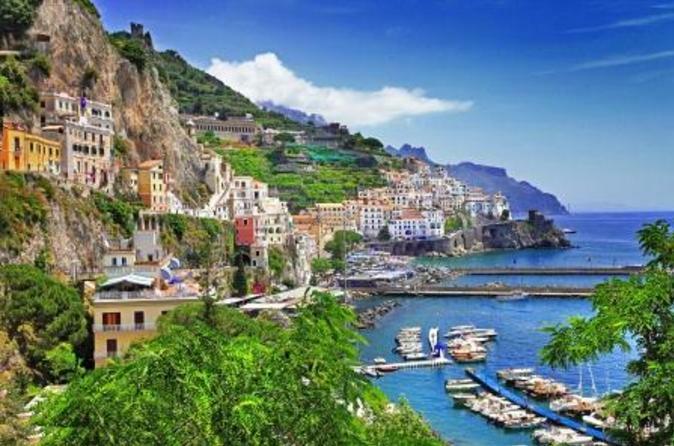 Travel by air-conditioned coach to the spectacular Amalfi Coast and after admiring views of Positano, enjoy free time in the town of Amalfi to sightsee and have lunch independently. Lastly, continue to Pompeii for a walking tour. 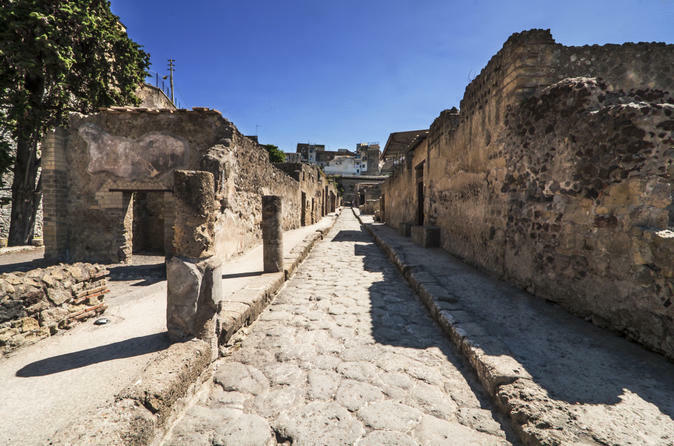 Learn how the city was destroyed by the 79 AD eruption of Mt Vesuvius and explore its age-old streets and highlights as your guide chronicles life here 2,000 years ago. Entrance fees and meals at your own expense. Do Mediterranean ingredients get your taste buds tingling with anticipation? 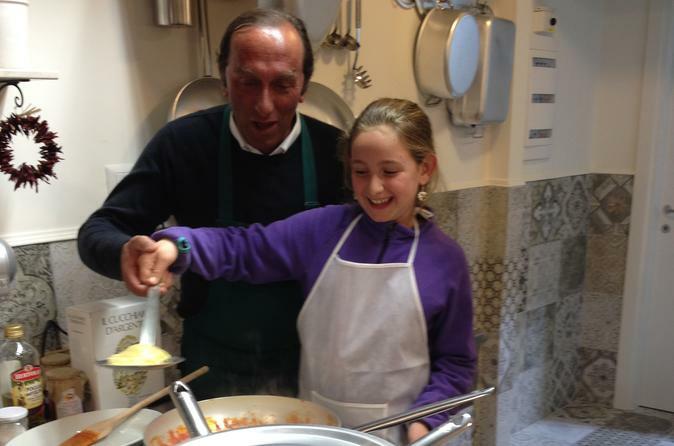 Then take a 3-hour cooking class near Sorrento to discover how to cook with them. Under the guidance of a knowledgeable instructor, create delicious dishes that typify regional cooking. 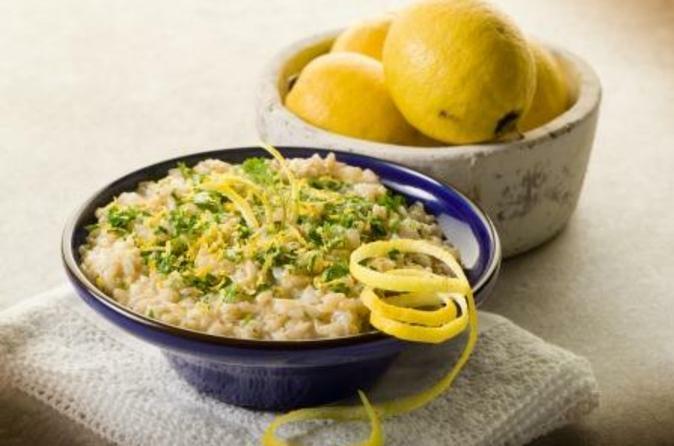 After you’ve done the hard work, sit down to eat the feast you’ve prepared and wash it down with a glass of wine or a soft drink, as well as a limoncello. Upgrade to include transfer to and from Sorrento. Travel from Sorrento to Pompeii and, after a drive of approximately 45 minutes, arrive at the entrance of the site where your guide will wait while customers pay their entrance fees. 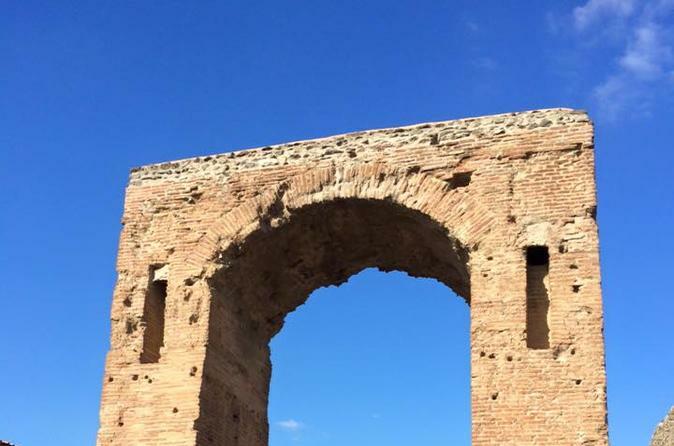 Explore the archeological site accompanied by your guide - see the main features of the ancient city including the baths, bakeries and theatres just to name a few. Be enchanted by the Amalfi Coast and the towering presence of Mt Vesuvius on a Sorrento Super Saver that combines two best-selling tours at a discounted price. 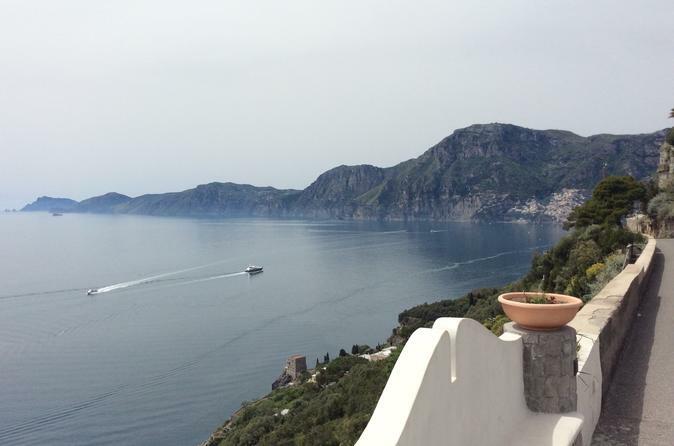 Depart from Sorrento and spend a day exploring the scenic Amalfi Coast with an expert guide. 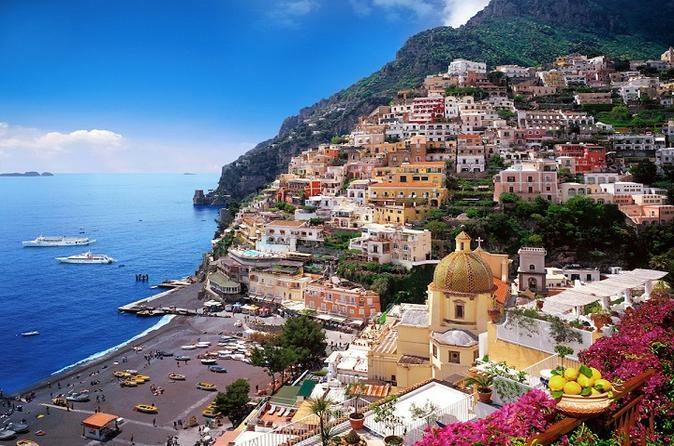 Visit the picturesque towns and villages of Positano, Amalfi, Scala and Ravello. 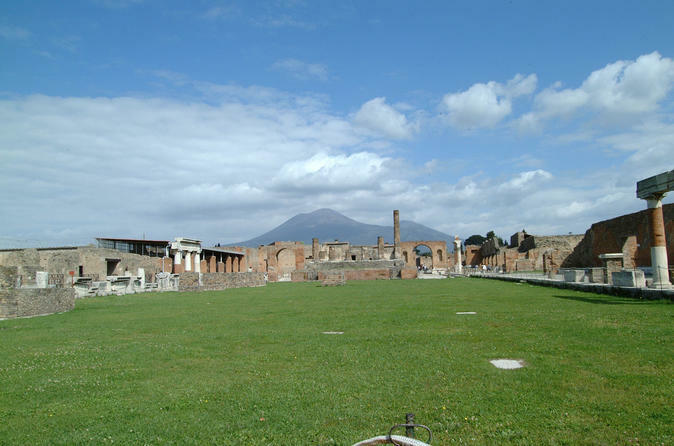 The following day, travel by coach to the notorious Mt Vesuvius volcano on a 4-hour guided tour. 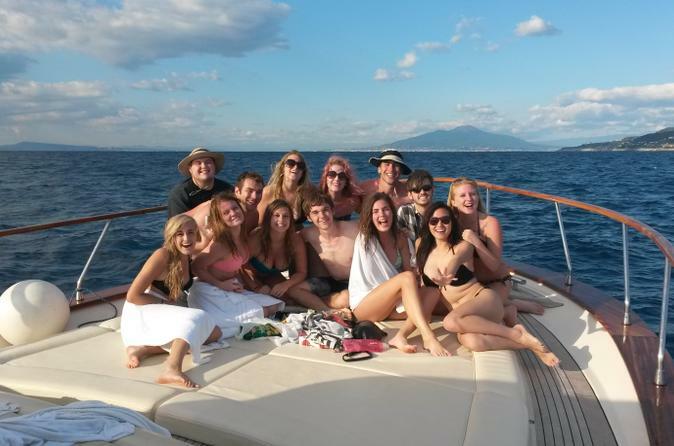 Alternatively, choose to visit Mt Vesuvius first, followed by the Amalfi Coast tour the following day. 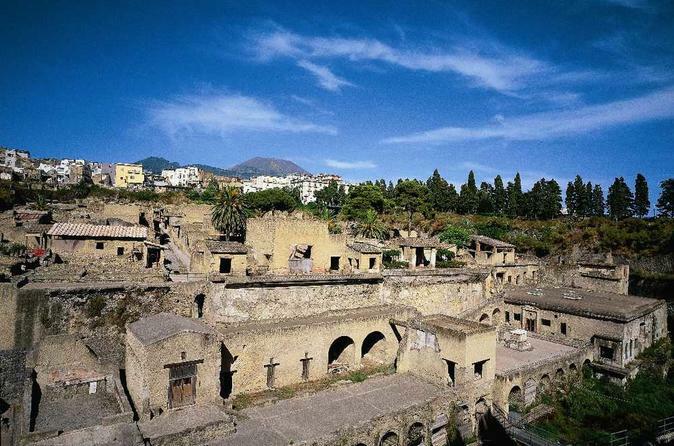 Rewind to Ancient Roman times on this private 5-hour Herculaneum tour from Sorrento. Board a train with your private guide, and enjoy the stunning views on route to Herculaneum. See the UNESCO-listed town’s highlights, including the House of Neptune and food shop; gaze at the ancient marina, where 300 skeletons were found; and, depending on availability, visit the House of the Wooden Partition, with its near-intact wood screen. Learn about life here 2,000 years ago and the 79 AD eruption, and enjoy full attention from your very own guide. Guilty of decimating Pompeii and Herculaneum in AD 79, Mt Vesuvius looms over the Bay of Naples like a beautiful, silent menace. Stopped in their tracks by the eruption of Mount Vesuvius in A.D. 79, Herculaneum and Pompeii offer the best look anywhere at what life in Rome must have been like around 2,000 years ago. This evening on a small group we will drive along Italy's most beautiful coastal road to Positano. Time for shopping and 3 courses menu at the beach restaurant will complete the program of the tour. The only excursion which takes you down to Positano Beach, and the most suggestive places in Amalfi and Ravello. Round trip on the Amalfi Coast. Herculaneum is always a fixed destination for thousands of tourists every year. The excavations of Herculaneum, Pompeii together with those of Oplontis, are included since 1997 in the list of UNESCO World Heritage Site. Pick-up from indicated meeting point in Sorrento. After a journey of about 45 minutes you'll get to Herculaneum. Here enjoy a guided tour inside the archaeological site - approx 2 hours. Return to Sorrento late in the morning. 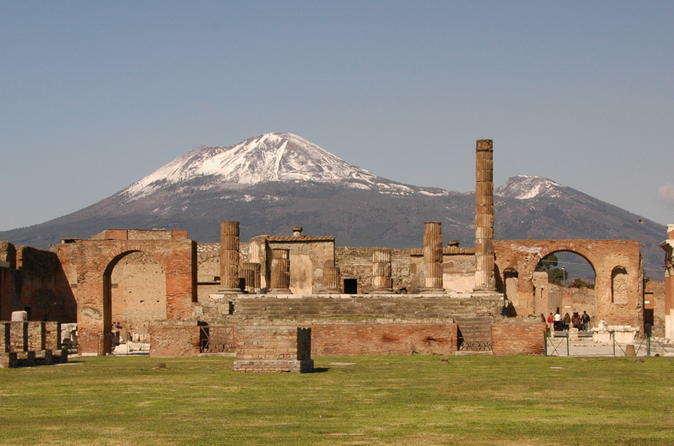 Explore ancient Pompeii on this half-day private morning or afternoon tour by rail from Sorrento. With your very own guide, enjoy the scenic train ride to Pompeii, and witness its UNESCO-listed highlights as you learn how its people lived and died 2,000 years ago. See the market, baths, and casts of victims, and view the Forum, food shop and more. Got children with you? Choose the family tour, with a child specialist guide as well as a fun map, puzzles and games to fire their imaginations. 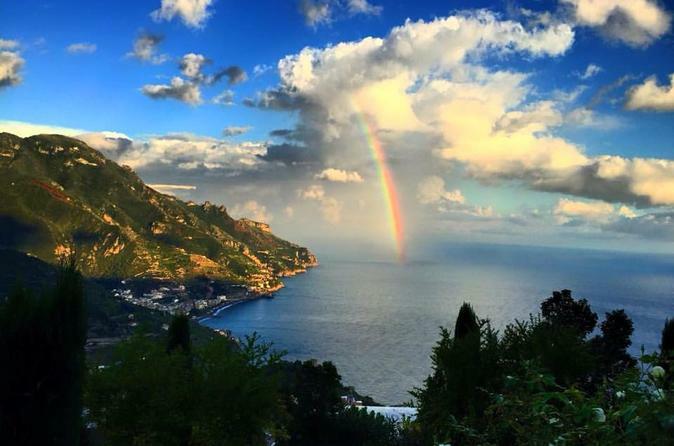 The Path of the Gods hike in the Amalfi Coast is one of the most spectacular path in all Europe with incredible views overlooking the coast line, Capri Island and a little island just off Positano called Li Galli (once owned by Rudolph Nureyev the famous Russian dancer). The path connect all the villages of the Amalfi Coast, from Bomerano located in Agerola above Amalfi all the way to Positano. When you dock in Sorrento, leave your cruise ship behind and embark on a private shore excursion to explore Positano, Amalfi and Ravello. After being picked up by your private driver, travel along the Amalfi Coast and enjoy splendid views of the beautiful fishing villages and secluded bays, for which this part of Italy is famous. 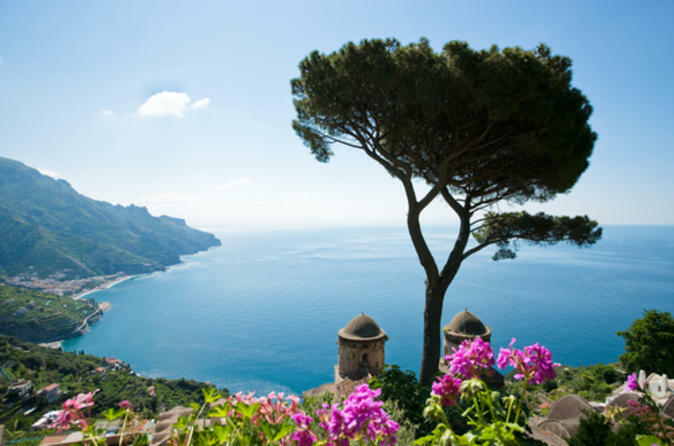 Explore Piazza dei Mulini in Positano, the stunning Cathedral of St Andrew in Amalfi, and discover some of the most beautiful seaside villas in Ravello while enjoying the scents of their floral gardens. Experience the beauty of the Amalfi Coast from the best vantage point on this full-day cruise from Sorrento. Choose your ride — a speedboat or a classic Italian wooden boat — and sit back as your private captain takes you past the coast’s picturesque towns and fishing villages. See the Faraglioni rock formations and Li Galli islands, cool down with dips in the Mediterranean, and stop in Amalfi, Positano, Praiano, Nerano or any other town you like to explore on dry land and perhaps enjoy a scenic seaside lunch. 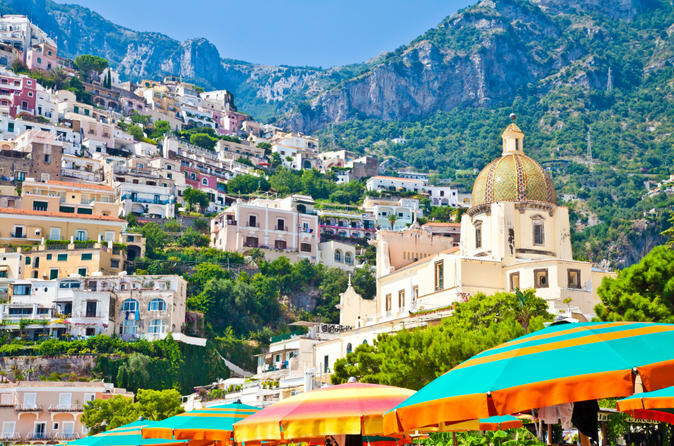 Spend a morning in the enchanting seaside village of Positano on this hassle-free independent excursion from Sorrento. 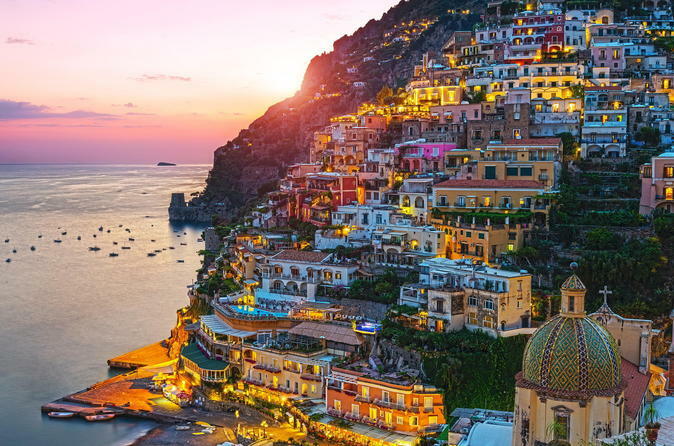 A famous fashion hub since the 1960s, Positano is home to countless shops and elegant boutiques selling summer wear, lightweight linens, handmade sandals and accessories, as well as ceramics and souvenirs of all sorts. Wander the alleys at your leisure, shopping to your heart’s content, before the journey back to Sorrento in the early afternoon. 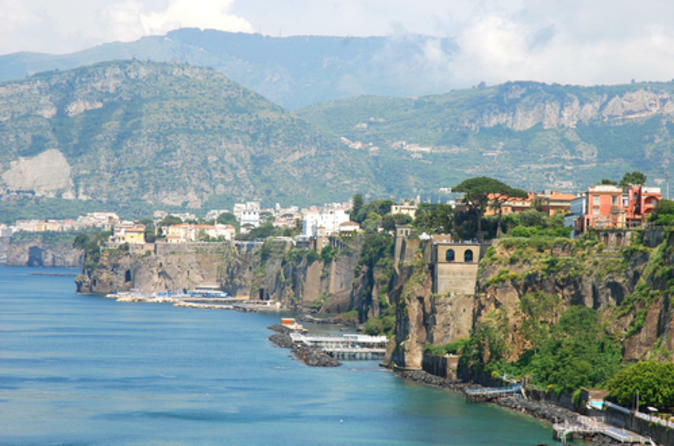 When your cruise ship docks in Sorrento, enjoy breathtaking views of the area’s beautiful setting on this private shore excursion to Pompeii, Positano and Sorrento. With your own private driver, see top attractions at your leisure such as the stunning Cloister of San Francesco in Sorrento and the Church of St Maria Assunta in Positano. 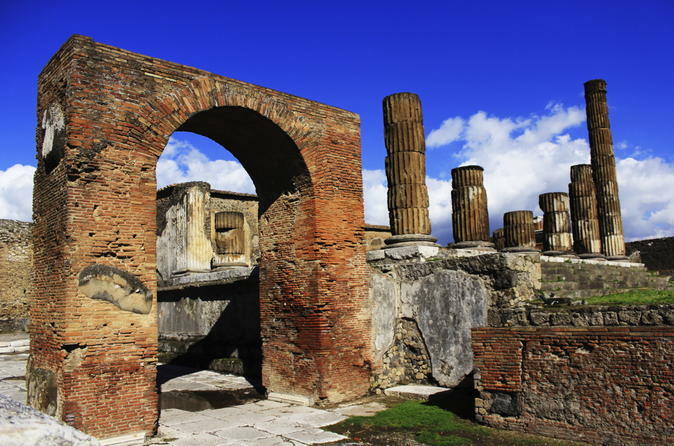 Explore the ancient Roman city Pompeii, destroyed by the Mt Vesuvius eruption in 79 AD, and upgrade your tour to explore fascinating archeological excavations. The beautiful beaches and coastal towns of the Campania region await you on this private shore excursion. While you’re in port in Sorrento, head off to explore the beautiful villages of Positano, Sorrento and Amalfi on a full-day independent trip with a private driver. Admire spectacular views of the entire Bay of Naples and the Island of Capri and see top attractions such as the stunning Cloister of San Francesco in Sorrento and the Church of St Maria Assunta in Positano. 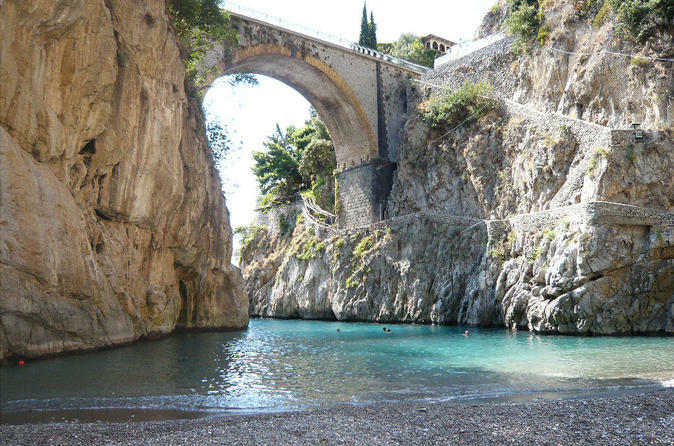 Exclusive family friendly Amalfi coast day trip from Sorrento. The tour will stop in Positano, Ravello and Amalfi. Experience the perfect way to mix culture and relax: explore the archaeological site of Pompeii and continue your 8-hours tour with a wine tasting in a local vineyard located near mount Vesuvius.